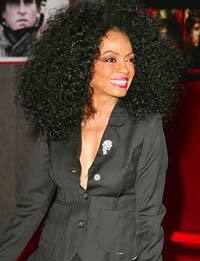 Diana Ross is an American singer and actress. She rose to fame during the 1960’s as one of the founding members and also as a lead singer of Motown group, The Supremes. Diana Ross was born in Detroit, Michigan on March 26th, 1964. She was the second eldest child. Ross never saw much of her dad until he returned from the Second World War. As a young girl, she always wanted to be a fashion designer; she studied design, pattern-making, millinery and seamstress skills at the Cass Technical High School. As a teenager, she worked at Hudson Department Store and later graduated from school in 1962. By the time Ross graduated from school, she was already working in the band The Supremes. The Supremes were born in the year 1961. One of the group members left the band in 1962 and then in 1963 Diana was made the lead singer. The first single to appear on Billboard Top 40 was in 1963 followed by others in 1964 and 1967. The band enjoyed 10 number one hit singles. In 1967, one of the band members, Ballard was replaced by Cindy Birdsong. The group changed its name to Diana Ross & The Supremes. In November 1969, Diana Ross confirmed that she had left the band. She made her final appearance with the band on January 14th, 1970. As a solo artist Diana released her debut album called “Diana Ross” in May, 1970. This album contained her first solo number 1, “Ain’t No Mountain High Enough.” Through the song, she won Best Pop Vocal Performance Grammy. In 1971, “Everything is Everything” was released; this saw the single, “I’m Still Waiting” reach number 1. Diana married Robert Silberstein, a business manager. She had her first child in August, 1971. She later had two daughters with Silberstein before they divorced in 1977. She left Motown Records in 1981 and signed a lucrative music contract with RCA. By the time her duet with Lionel Rich “Endless Love” reached number 1, Diana was the first woman in the music history to chart six number 1’s. In 1984, her music career sparked again when she released “Swept Away.” She married Arne Naess in 1986 and together they had 2 sons. She divorced him in 2000. Diana Ross began working on her first film in 1971. The film was called “Lady Sings the Blues.” She continued working on several other different films. However, she rejected many movie offers over the years because of fears of typecasting and contractual obligations. Diana has influenced many artists including Beyonce Knowles, Michael Jackson, Solange, Leona Lewis, Fergie, Janet Jackson, Mariah Carey, Rihanna and Kelly Rowland. As a member of Supremes, she helped influence other black girl groups such as The Three Degrees, Destiny’s Child, The Emotions, Cleopatra and The Pointer Sisters. Ross is grandmother of 2 and she still continues to tour the world.